Rubab Gardezi Lahore School Alumni (Batch of 2001) now working as Brand Manager Warid visited Lahore School of Economics and gave a lecture to graduating students of MBA and MSc Economics classes. She briefed the students about the marketing techniques and how to develop a new business. She also gave them a briefing on Mission, Vision and the marketing plan of Warid. Tayyaba Kamal Shoaib Mir, the Executive Creative Director Orient Mccan visited Lahore School of Economics and delivered a lecture to graduating students of MBA / MSc (Economics) on May 22, 2008. His lecture was focused on the creative brief of advertising. He also talked about the strategic tools of advertising and five links of demand chain. Shoaib Mir emphasized on enhancing individuals skills overtime in the advertising sector. The ECD also briefed the students about the job prospects in the advertising agencies and the expectations of the add agencies from the fresh graduates. Dr. Shahid Amjad Chaudhry, the Rector Lahore School of Economics delivered a lecture on Pakistan’s National Budget on 19th May 2008. Part of Distinguished Professional Lecture Series program, the lecture was attended by a large number of students and faculty members. 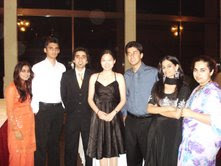 Sidra Rana The Lahore School of Economics Association of Debaters participated in the 15th All Asian International Debating Championship 2008, hosted by North South University (NSU), Dhaka, Bangladesh. Lahore School was represented by Shahram Niaizi, Abdur Rehman and Ayesha Mirza as speakers who gave a very creditable performance with 1 loss and 6 wins beating LUMS and NLS (National Law School Bangalore). Lahore School team finished as the Quarter Finalists in this prestigious international competition in which 66 teams from 13 Countries/universities participated. A team of ten members from Nestle Pakistan Limited including Dr. Usman Bhatti, Country Head for Nutrition Business, Mr. Khurram Javed, Business Manager for Nido, cream and Desi Ghee, Mr. Khurram Zia, Business Manager for Milkpak, Everyday and Nesvita, Mr. Ali Akbar, Customer Services Manager, Recruitment Team and a few alumni of the Lahore School working with Nestle Pakistan visited Lahore School of Economics on Friday, May 16, 08 and gave a presentation on their Management Trainee Program. The senior Managers from Nestle also conducted a discussion session with the graduating MBA students after the presentation. Azhar Sheikh CEO Value TV visited Lahore School and delivered a lecture to MBA and MSC (Economics) classes on May 16, 2008. He discussed Promotions Management with a focus on the creative side of the advertising and also talked about branding, advertising concepts and planning of an advertising campaign. Click the link to download and or view the presentations. Lahore School Women’s Badminton team secured second position in Intervarsity Badminton Championship 2008 held at Lahore University of Management Sciences, Lahore. Earlier, Lahore School Badminton team beat Iqra University and FAST in semifinals. 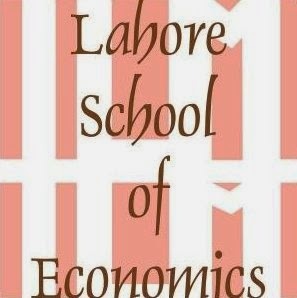 Ayesha Amjad and Sana Akram represented Lahore School of Economics Badminton team and played finals against GCU team.